Swapping out your winter layers doesn't mean just adding a few maxi dresses and flirty skirts to your wardrobe. 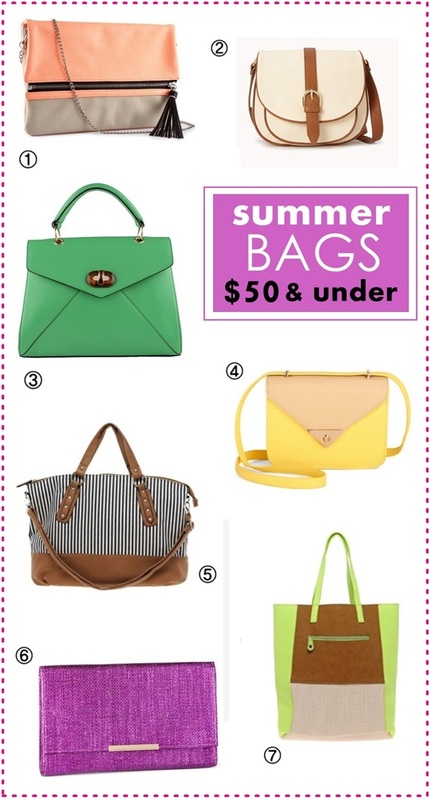 It's also about embracing fun, bright, bold bags like these! The best part? They all come in at $50 and under, making them extremely wallet-friendly! Love the price on these bags. I think I'd get #3 and #4 please! That striped tote is too cute!